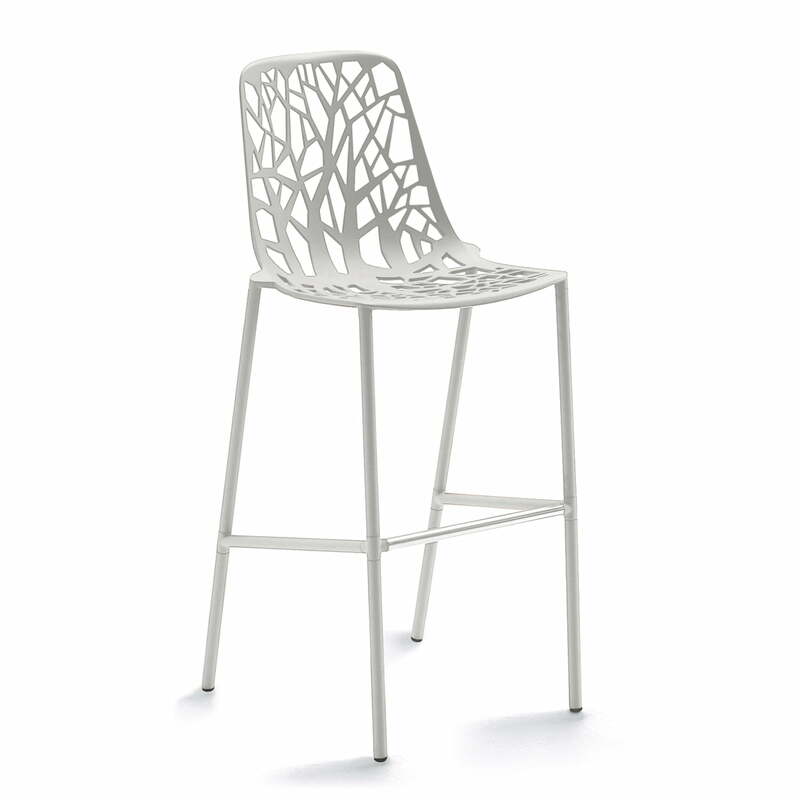 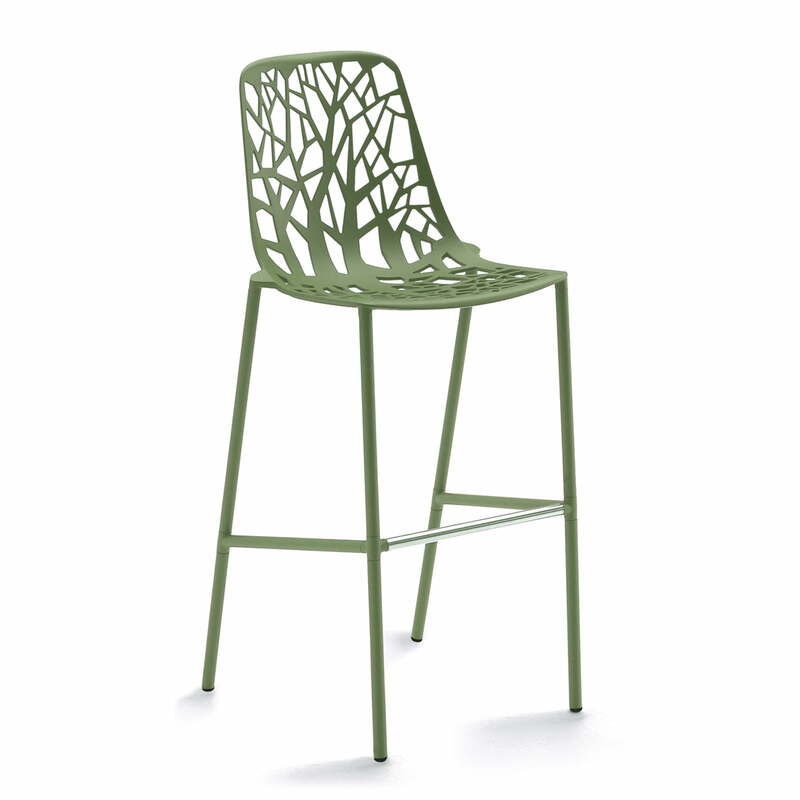 Forest is a collection of chairs by Italian manufacturer Fast. 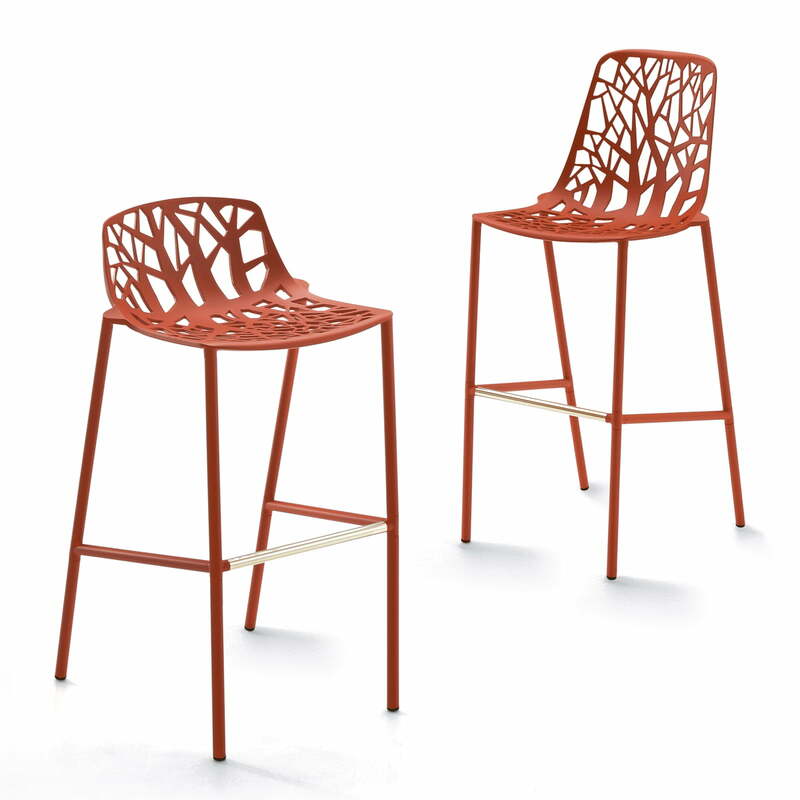 The organic design came from Robby & Francesca Cantarutti and is available in different versions for indoor and outdoor use. 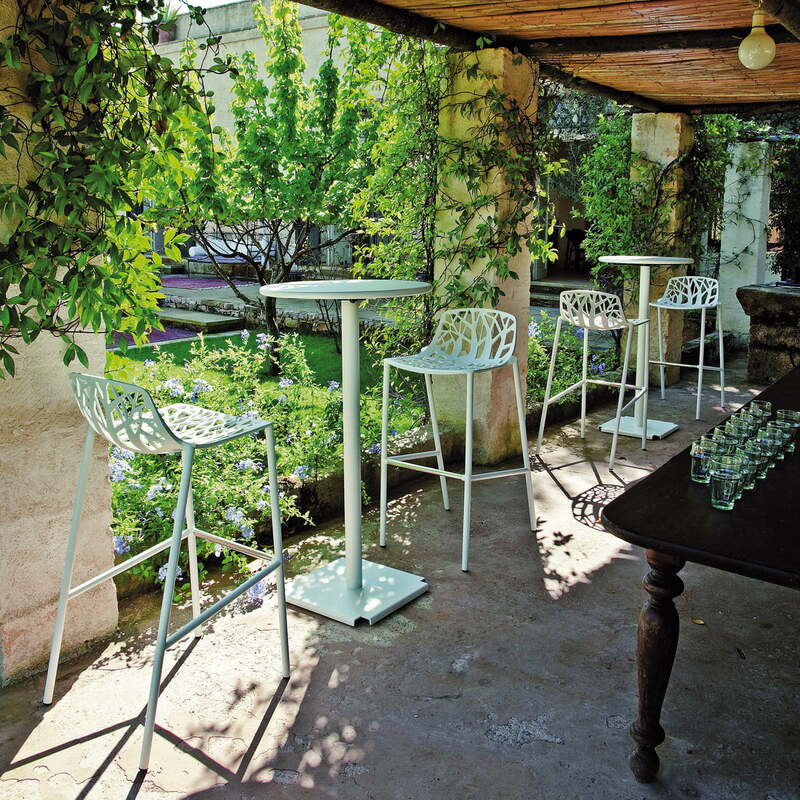 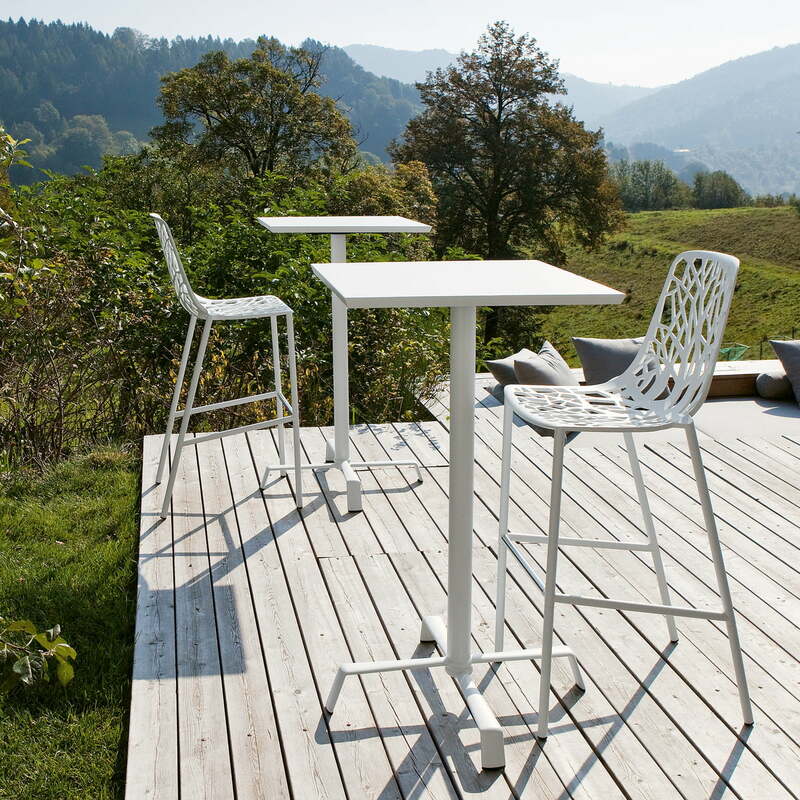 The bar stool – with high backrest – is made of powder-coated aluminium and a polished stainless steel footrest. The Forest bar stool is available in different colours and, on request, in other heights as well as with high and low backrests.